Whether you lead an active or sedentary lifestyle, you may experience many different types of injuries. Massage therapy could help you heal faster by improving circulation, breaking down scar tissue, and lengthening the tissues as they heal. Here are some of the most common injuries massage therapy could help with. Given the large percentage of the population that work an office job, it’s no surprise that lower back pain is so common. When you’re seated, you’re adding pressure to your spine and back muscles. This pressure increases if you’re like the greater majority and slouch or fail to maintain a good posture. You can avoid the onset of lower back pain by maintaining good posture and using an ergonomic chair that’s adjusted to your body shape. A sit-stand desk or standing desk can also be beneficial. If you’re already struggling with back pain, check in with a massage therapist about how you can heal from the condition. Repetitive strain injury (RSI) is another common injury, particularly if you lead a sedentary lifestyle. RSI can be caused by overuse of specific body parts, such as the soft tissues of your neck, back, hands, arms, or shoulders. If you’re typing in front of the computer all day and working with a mouse in your hand, you can experience tingling, numbness, and tightness in the hands, neck, and other parts of the body. Reduce the risk of developing RSI by using ergonomic equipment and gripping office tools lightly. Take regular breaks. If you already have RSI, see a massage therapist who can assist with the right type of massage techniques. Soft tissue injuries is a broad category of injuries involving soft tissue rather than, say, bone. Muscle strains, ligament sprains, tendon injuries, and injuries to the myofascial tissue (connective tissue around the muscles) are examples of soft tissue injuries. Soft tissue injuries can result from playing sports, exercise, and general physical activity. If you have a soft tissue injury, it’s wise to seek medical attention right away. You should rest the affected area, apply ice, and use compression to support the area, reducing swelling. If you see a massage therapist, he or she might advise you to avoid using massage therapy on the damaged area for a few days, though indirect massage to surrounding areas could be beneficial. The neck is a common zone for injuries, whether it’s due to poor positioning during sleep, posture, constant strain, or a sports injury. Pain in the neck muscles can present a major nuisance to your daily life. A massage therapist can use a range of massage techniques to address the specific muscle groups affected. Deep tissue massage, for example, can be used to treat the causes of your neck pain. If you have a knee-related injury, the right type of massage therapy can be used to treat it. With it multiple joints and muscles, there are many potential causes of pain and injury in the knees. 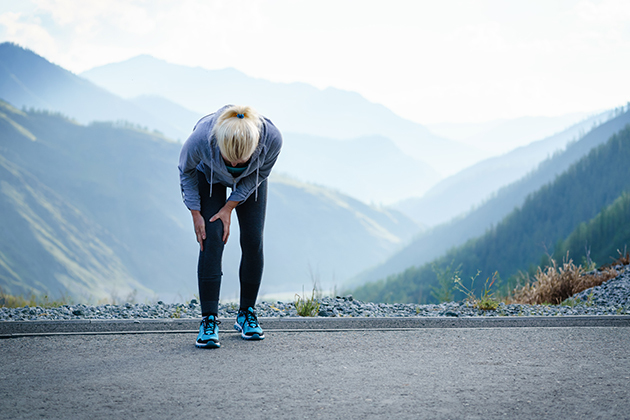 One type of knee injury is patellofemoral pain, which refers to pain from in and around the knee joint and between the kneecap and the underlying thigh bone. A massage therapist will assess the affected muscle and joint areas, before delivering the appropriate massage therapy. You may also wish to see a physiotherapist or osteopath to make sure it’s not a more serious problem like an ACL injury. Tennis elbow can affect tennis players as well as anyone who’s at risk of elbow strain, like bricklayers, typists, and cleaners. It’s caused by bending the wrist backward repeatedly so that the muscles and tendons in the area become overused. Along with applying ice and compressing the area, elevating the elbow can assist with reducing inflammation and swelling. People who have tennis elbow can benefit from a mixture of massage therapy, pain management and physiotherapy. A combination of these treatment options will support faster recovery, pain management, and improvement in range of motion. The rotator cuff is one of the four muscles that allows your arms to rotate at the shoulder. This common shoulder injury occurs when you strain or pinch the tendons and damage the soft tissue. Bruising, swelling, and general pain can be the result. While people who experience rotator cuff tears will often have physiotherapy treatment, massage therapy can also be beneficial. Remedial massage supports a faster healing process by improving circulation and breaking down the scar tissue during the healing stage. A massage therapist can also assist your muscles to heal to their full length, so you don’t end up with shortened muscle fibres once the injury heals. Our musculoskeletal systems can be prone to strain, pain, or injury through everyday activities, so it’s helpful to get to know a few of the most common types of injuries. Massage therapy can play a critical role in helping you heal and recover not only quickly but properly, preventing the injury from returning in the future.